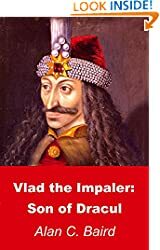 Vlad the Impaler solves the homeless problem. Vlad nods, and walks inside the hall. Hundreds of wretched PEOPLE are enjoying a sumptuous feast. They stuff themselves with huge plates of food, and drink jugs of wine until they can drink no more. Things are getting pretty ROWDY, but everyone quiets down at the sight of Vlad.